Microblading is becoming extremely popular in The United States, even with economic recession and political instability the field of beauty and cosmetics seems to be indifferent to any of these issues. In 1930 when the recession was at its worst in the US the sales of Cosmetics rose this is called “The lipstick Effect” In Germany the unemployment total rose to 6 million, but those working for Beiersdorf did not suffer. The company was able to keep the company afloat and not a single employee was fired due to financial issues. Cosmetics and beauty related items seem to be recession-proof this may be also because people want a “pick me up” in hard times. Microblading is starting to gain popularity in the US, having fuller and ticker eyebrows is the new trend and aesthetically and visually, the process seems to frame the eyes and make them appear bigger. It also seems to give the face an eye lift look without surgery. Microbalding is not as "new" as we think, after all is tattooing, yes sorry for brake it like that...but is indeed tattooing. 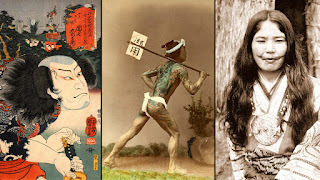 "Any pigment applied into the dermal layers of the skin is considered a tattoo"
THE MYSTERY OF THE PURPLE BROW. How many times have you seen purple, blue, orange, red even green! Yes, green, eyebrows! I am not talking about Halloween or party makeup I am taking about permanent tattooed makeup that turned different colors years and sometimes even months after being applied. Thank goodness these multicolor eyebrows are not in fashion, and hopefully they will never be...although I am not too sure about it. Is fascinating how every skin reacts, this is one of those things that make the human body more fascinating, we are all different, our skin can have so many different colors, the veins and vessels that are under the dermis can also be so different from each other. The color under the skin, the undertone can dramatically dictate the final result of a micro bladed brow, an eyeliner and even a lip pigment. Every skin with time will change the tone and hue of any pigment, that is why is important to know about MODIFIERS. Freckle Tattoos or "freckling" as is commonly named now seem to be the new trend in 2017. Freckling is basically the application of faux freckles on the same area where they appear naturally. 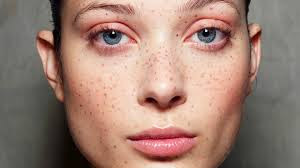 Natural freckles are spots in people with fair or light skin these spots are a concentration of Melanin the main component that gives our skin their hue and color. Freckles are formed by triggering the melanin of the skin with sunlight. Freckles are not a skin disorder but people prone to it should avoid sun exposure to prevent the oxidation of the melanin forming more freckles... unless you are looking to achieve this trendy look. Freckles now can be applied with semipermanent make up and also can be applied with conventional "rub-on-tattoos" sold in Amazon.